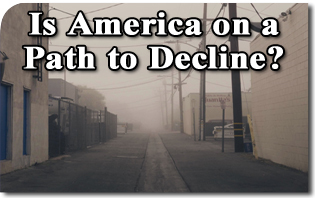 The American TFP > News Commentary > Is America on a Path to Decline? It is dangerous to compare the nation to a corporation. A nation reflects a whole culture with all its richness, creativity and vivacity. It is an organic entity that has a life of its own that does not appear on spreadsheets. Applying the corporate model to a nation is a modern obsession that often ends in disaster. This said, there are certain analogies that can be made between a nation and a corporation. Things that happen to corporations, sometimes happen to nations. Following the trajectory of how mighty corporations fall can give insight about what is now happening in America. In this sense, Jim Collins’ book, How The Mighty Fall: And Why Some Companies Never Give In contains an unexpected lesson for today. Written in 2009 after the subprime mortgage crisis, the bestselling business writer traces the course of many well-known corporations in their slide from booming success to failure. He does not analyze the financial statements and spreadsheets, but the emotional and psychological stages of those going down the path to bankruptcy. And that is why it is timely. 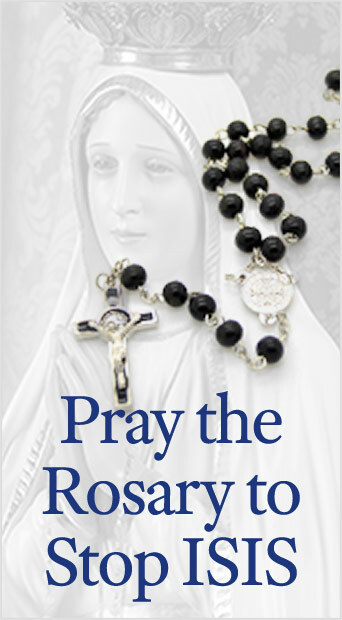 It is a compelling book that is full of anecdotes and examples. He shows how wildly successful companies like Zenith and Motorola entered into decline. He contends that these cases were not caused by the classical causes of laziness and complacency. The mighty can also be laid low by uncontrolled frenetic activity. Collins maps out five stages in the course of decline of these frenzied companies. The first is a hubris born of success. A company is so to speak drunk with great success and starts to lose focus. The second stage is what he calls “the undisciplined pursuit of more.” Management starts to expand and grow in a manner inconsistent with its core principles. Directors take undisciplined leaps into areas where they cannot excel. In a fit of frenetic intemperance, they seek to prolong phenomenal growth by all possible means. Denial of risk and peril is the third stage of decline. When problems start to appear from unfocused frenetic activity, people start blaming external factors and others for the setbacks. The positive data, however, are still strong enough to veil the dangers ahead. This prepares the way for stage four, which is grasping for salvation. At this point, it is evident the company is in real trouble. This leads to violent lurches toward radical measures, cost cutting and reorganizations. Panicky desperate moves are introduced in the search for a “game changer.” Companies go to great expense to find saviors, charismatic leaders and visionaries to get them out of their messes. The final stage is that of capitulation to irrelevance or death. The company becomes increasingly desperate and engages in ever more radical “solutions” that zap its financial strength and morale. The result is death or irrelevance. No one is spared this fate, even high and mighty firms are laid low. Promises of a brighter future compensating for poor results. Quick bold moves to return the company to greatness. Ironically, Collins shows that this frantic groping is precisely what is not needed to turn a drastic situation around. Rather he says that “The sooner you break the cycle of grasping for salvation the better. The path to recovery lies first and foremost in returning to sound management practices and rigorous strategic thinking.” If such a course is taken, the process can be reversed as he illustrates with many examples. He further states that the overwhelming majority of outsider saviors fail because they do not understand the company’s core values and culture. In ninety percent of the cases he studied, salvation came from insiders who understood the culture and how to bring out the best in it. By analogy, Jim Collins’ path to decline can be applied to America as a whole. Obviously, the criteria used to measure success and health are different since corporations are economic entities that revolve around profits and production. On the other hand, a nation is a moral entity that depends upon God’s Providence, and the actions of its citizens fostering the common good. Nations build upon the moral and social capital that undergirds a social order and facilitates virtuous life in common. While the processes and criteria may be different, in general, the psychological and emotional state of those experiencing decline are amazingly similar in both a corporation and a nation. It might be said that the postwar boom of the fifties gave rise to “the undisciplined pursuit of more” of later decades beginning with the sixties. The nation has long lived upon the moral and social capital of its past, which is now exhausted. America lives in denial of the need for a strong moral and social fiber. It has long played the blame game of pointing fingers at others. The result is, to use the words of Charles Murray, America is “coming apart.” Core values have eroded to the point of insignificance. It is hard not to see that the present election cycle has entered into a stage four scenario in which everyone is grasping for political salvation. And like Collins’ panicking companies, everything is up for grabs. There is confusion and cynicism. Everyone turns against the established order with resentments and recriminations. Outsider politics has become the norm. This desperate emotional state is now dominating the political scene, and, if not reversed, can introduce the final stage of collapse. Unfortunately, politicians look for solutions by embracing a corporate model of America, instead of returning to the organic model of a nation. Economic band-aids will never solve a moral problem. What is needed is to stop the cycle of grasping for these unrealistic quick fixes, refocus on core values, and abandon the wrong model now proposed. The path to recovery lies first and foremost in returning to a sound moral order for which many Americans still yearn and which made America great. If this is not done, America may soon learn the painful lesson of how mighty nations fall. This entry was posted in News Commentary and tagged America, moral values, nation, path to decline, Return to Order by John Horvat II. Bookmark the permalink.